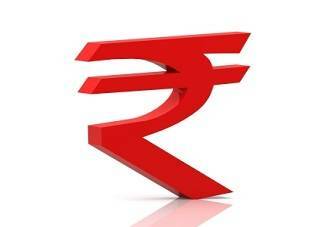 Fall Of Indian Rupee: Causes, Concerns & Actions | Business Article | MBA Skool-Study.Learn.Share. As rupee slides to 57 per dollar, the market sentiments get more pessimistic. The article talks about the causes behind this fall, the outcomes of this and what actions can be taken to curb the same. The major reason behind the fall of rupee devaluation is the widening trade deficit due to stagnant economic reforms, large oil imports, policy collapse. Fear of political backlash has stalled important projects like the FDI in retail, airline and insurance sector, direct tax code, goods and services tax act. All these projects are aimed at attracting investors and reducing the current account deficit of India, which currently stands at $78.2 billion (4.5% of GDP). Policies like the retrospective taxation, General Anti Avoidance Rule have dampened the foreign institutional investors. The GDP growth rate has slowed down. In the last fiscal year, GDP grew at 6.5% compared to the prediction of 8-9%. The rising oil and gold imports have widened the trade deficit. While gold imports have been somewhat curbed owing to high prices, the demand for crude oil has remain largely inelastic. In fact, India’s crude import bill has risen 500% in the last eight to nine years. Government subsidies on the oil prices have deepened the trade deficit further. Adding to the situation is the Euro debt crisis. Investors are shifting to safer havens like United States, pulling out money from the Indian markets. This is putting further pressure on the Indian Rupee. At the same time, India’s exports to the European countries are being hit due to slowing of the European economies. India’s forex reserve is a little over $300 billion and is likely to go down further because of a net outflow of currency. Having discussed some of the major causes of rupee devaluation, let us now turn our eye to the impact of this over the Indian economy. The first obvious impact is on the import costs shooting up as more rupees are to be shed per unit dollar import. Even though the global fuel prices have taken a cut, it has been offset by the weak Indian currency, giving no respite to the problem of cost push inflation which hovers around 7%. Contrary to expectations that rupee fall would cause a proportional increase in our export earnings, the news from the Indian IT sector (which forms around 26% of total Indian exports) is not so good either. IT firms are being pushed to pass on the benefits to their global customers and thus the profit gains would not be as high as could be expected. Thus, fall in rupee and the current account deficit form a vicious cycle, each impacting the other. Same is the case with FIIs. High cost of investment deters them to invest in the country and this leads to a further decrease in dollar inflow, causing further rupee devaluation. Having looked at the concerns, we finally delve into what can be done to arrest this fall and what solutions are being considered to strengthen the currency. Although, there has been a constant push on RBI to cut interest rates, but owing to the strained liquidity and inflationary pressures, RBI has decided not to do the same. This, it feels is not the solution as the inflation is mainly cost driven and the country’s foreign currency reserves stand the lowest in the last decade. Thus the central bank cannot infuse too much dollars to ease the devaluation. However, RBI recently announced measures to clamp down the outflow of dollars by putting curbs on the gold coin sale by banks. The measure will ease the current account deficit. At the same time, the government can revoke subsidies on oil. This will reduce the demand of oil, again lessening the current account deficit. But in a stratified country like ours, doing so would badly hit the lower segment. RBI recently raised the limit of external commercial borrowings (ECB) by $10 billion, to boost FII investments. However, the market response has not been positive. There has been a thrust to revive the market sentiments through infrastructure projects. Dr. Manmohan Singh has promised contracts for 9,500 km of highways and port projects worth Rs 35,000 crore, besides public-private partnership projects to develop at least 20 airports. These reforms will not just give positive signals to the foreign investors, but also generate employment and growth in the economy. Laws like GAAR, retrospective law and policy decisions like FDI should be reconsidered keeping in mind the impact on the Indian economy and sentiments. Unless the investors see a stable political environment, the currency devaluation would continue to slide. RBI is directly selling dollars directly to the oil companies to ease the inflationary pressure. The government has to curtail its oil expenditure to limit market borrowing that is crowding out private investments. All this needs to be done taking into account inflationary pressures. Even though, the rate of growth of GDP has slowed down, India still has institutional strength to work at these fundamental problems and emerge out of the crisis. The need of the hour is a policy regime change to attract foreign investments. Both the government and RBI have a crucial role to play here.